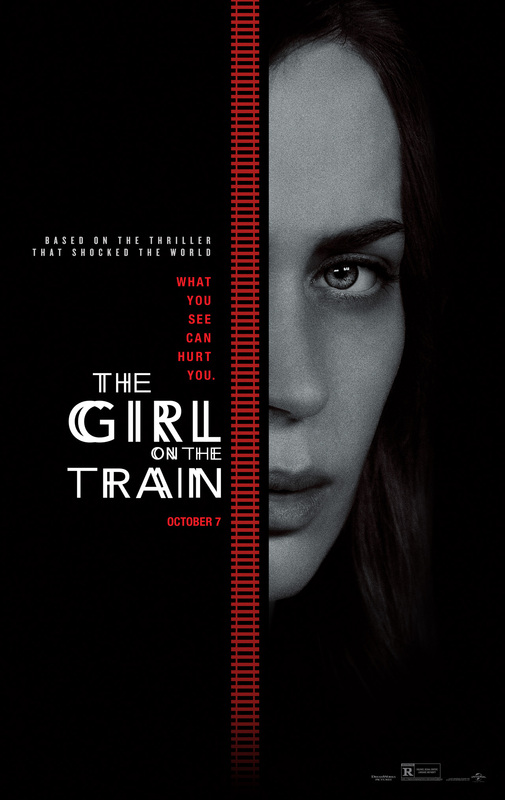 Synopsis: Rachel (Blunt) is an alcoholic, unemployed, divorced, woman who becomes fixated on the people she sees while on her daily train journey, until one day, she sees something that turns her world upside down. Review: Ah trains, don’t you just love them? For many of us, they are a valuable asset that we use to get to our day jobs, even if they can be a bit late or a bit too full on occasions. Whilst on board, many of us bury our heads in a newspaper or listen to music, but what if you saw something that shocked you? And before you know it, one thing leads to another and you find yourself entangled in a criminal investigation over a missing persons case? This is precisely the situation the lead character finds herself in in this missing persons thriller. Adapting from Paul Hawkins’s best selling novel of the same name, Rachel having lost her job and seeing her marriage fall apart has become a hopeless alcoholic who seems destined to go off the rails (pun absolutely intended.) Her life has hit a red signal, and in order to maintain a routine she take the train every day and becomes attached to the people she sees, making up stories about their lives. This is until she finds herself right in the thick of a criminal investigation and after become a bit too intoxicated one particular evening and in a similar vein to Gone Girl, we have an intriguing mystery on our hands. Hawkins novel is very unpredictable in terms of its narration and storytelling, and screenwriter Erin Cressida Wilson, manages to adapt it for the most part pretty well. The change of setting from London to New York will undoubtedly upset fans of the book, but it doesn’t detract from the story. The main character here is of course Blunt’s Rachel. Although the novel’s version of the book describes her as being overweight, Blunt does her level best and gives a wounded performance as Rachel. The film does a good job of making you feel sorry for her, but at the same time, makes her look like a terrible human being when she’s a drunken mess, giving subtle warnings over the dangers of booze. The blackout scenes are handled expertly by director Tate Taylor, and adds to the intrigue of the story, it begs the question, just what did Rachel see that night? Through a mixture of past and present storytelling, the blanks are slowly filled, and the tension is well built throughout. Blunt is well aided by an excellent supporting cast some of whom like Rachel are a bit on the unstable side. Haley Bennett as Megan, the person at the centre of this investigation also gives an unpredictable performance. After showing what an unbelievable badass she was in Rogue Nation, Rebecca Ferguson also is excellent as Anna, the new love of Rachel’s ex husband Tom (Justin Theroux) These characters get the most character development, understandably so, yet you would have liked to have seen other characters such as Megan’s husband Scott (Luke Evans) get more screen time. The script does lack a bit of focus on occasion, but this does not derail the intrigue and suspense that has steadily been building up. The comparisons between this and Gone Girl are to be expected, and while Gone Girl is a superior movie, this adaption certainly holds its own as a very suspenseful thriller, particularly for those who have not read Hawkins’s brilliant novel. Adaptations from page to screen can sometimes go awry, but thankfully not on this occasion. Unpredictable, tense and expertly directed by Taylor with a superb performance from Blunt, be sure to catch this one before it leaves the platform.